It’s been just over two and a half years since I was given the Canon 5D Mark II by Canon for testing and reviewing. After spending three glorious weeks with the revolutionary camera, I was stunned by its low light performance and was in awe of it. One year down the line, I was given a Canon 7D, again for testing and reviewing. The body and handling of the camera felt perfect but the image quality left something to be desired. At that moment, I felt that the a culmination of both cameras would be my dream camera. Another year down the line, lo and behold, the Canon 5D Mark III, the camera that is the perfect upgrade for me from my 5 year old trusty Canon 40D. The beautiful contours and ergonomics of the 7D combined with a full frame sensor make the camera an absolute joy to use. Fitting like a glove, it is a true extension of my hand and having customized it to the hilt, I can use it without even thinking twice about what I am doing. Before you continue reading, you should be aware that just like last time, this is not going to be a technical or highly detailed review of the Canon 5D Mark III but rather a personal and intimate opinion of the camera. It will focus on the camera’s operation in daily use and give you a perspective of its practical changes, improvements and shortcomings. In some ways, this is all you need to know before you plop down the cash for a new camera but if you prefer a more specific review, I would recommend the reviews on both The Digital Picture and DPReview. The first impression of the camera is the distinctive improvements in the body. Even though it weights around 1.5kgs with the kit lens (24-105 f/4 L IS), it hardly feels that heavy as it fits the curves of my hand rather well. The second thing that is instantly visible in the moving of the ON-OFF switch below the mode dial in the top left corner, a la 7D. While this does not seem like a significant change initially, it does mean that I cannot pick up the camera, turn it on and start shooting with just one hand. The same applies for the zoom button being moved from the traditional Canon placement at the top right corner but I have managed to overcome this through the use of the custom functions which allow to customize nearly every single button on the camera. In terms of image quality and low light performance, it seems like it is around 2 stops better than he Mark II. Since the resolution has only increased by a small amount, the use of the new “gapless” sensor technology has meant that it has a practical impact on image noise. While ISO 102,400 is still extremely noisy, it does mean that you can shoot at ISO 16,000 without worrying too much about noise if you are only going to publish online. The main highlight of the camera is undoubtedly the autofocus. Having borrowed the blazing fast 61 point autofocus sensor from the top-of-the-line Canon 1DX, it is a vast improvement over the Mark II’s commonly criticized slow autofocus. It works surprisingly well in near-dark situations and the AI Servo mode for moving subjects will prove to be a boon for sports photographers. I still stick with my classic One Shot AF point and manually selecting the focus point for a large majority of my shoots as it gives me the opportunity to handpick where I want the camera to focus. 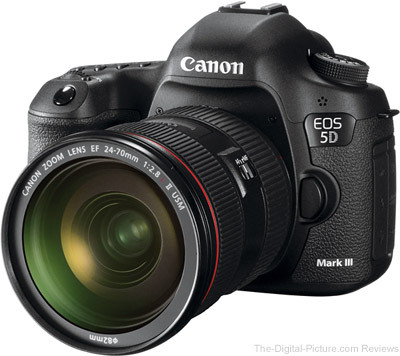 Moving up from a Canon 40D to the Canon 5D Mark III has brought with it a whole host of pros and cons. Pros include having a huge finder which reminds of my 35mm cameras, a very similar button layout but with more functions, being able to use most of old accessories and of course, being able to shoot HD video. Cons include a slightly longer startup time for the camera, vignetting with non-L lenses (a distortion that I had never considered in the past), and learning that shooting at 1.8 on full frame is going to give me a really shallow Depth-of-Field. I am yet to make full use of the availability of both a CF and SD card slot but something tells me that moment is not far away. Additionally, I am very keen to experiment with the in-camera HDR processing mode on a landscape shoot. There are a ton of features on the camera that I am yet to fully play with and it will definitely be a while before I know it like the back of my hand. in a strange twist of fate, I find that this camera is rather close to a list that I had mentioned in a blog post 4 years ago expressing my opinion about the features that I thought would be in future cameras. You can read the post here. Having said all that, make no mistake, it will still take something more for a camera to shift me away from my love for 35mm film. But the Mark III is very nearly there. I have spent only two weeks with the 5D Mark III but I already feel very comfortable shooting with it. Over the next few months and years, it will grow to become more familiar and reliable. With the Mark III by my side, every situation is conquerable – I just need to get some more L lenses!